Isn't this vintage postcard lovely? The colors and the design are spectacular and vibrant? 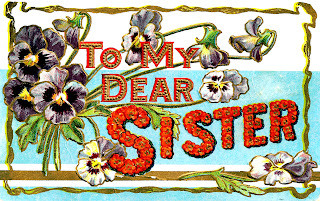 If you have sister, then this vintage image would be a wonderful decoration on a gift tag or a greeting card for her. Enjoy!